A brief written description of the music of Sigur Rós rarely does it justice. 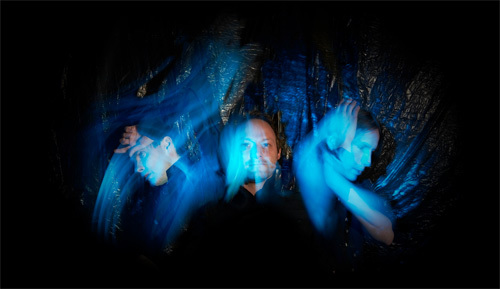 Variously described as post-rock, impressionistic, glacial and abstract, the music on the trio’s seven studio albums often features falsetto vocals in either the group’s native Icelandic or an invented, wordless “language” called Hopelandic or vonlenska. But while that summary might suggest music that’s challenging – even foreboding – the truth is that Sigur Rós makes very appealing and accessible music that may remind some listeners of Radiohead. Coming together in the mid 1990s in Iceland’s capital city of Reykjavík, the group led by Jón Þór “Jónsi” Birgisson released their first album, 1997’s Von on a local record label owned by the Sugarcubes, the alternative rock band featuring Björk (Guðmundsdóttir). From the very start, Sigur Rós established their distinctive sound: washes of ambient instrumentation, gentle vocals, and Jónsi’s ethereal vocals; the latter serve as a lead instrument rather than a means of delivering decipherable lyrics. Von was a massive success in Iceland, scoring platinum sales (10,000 units in a country of just over 300,000 people). The record also charted in Germany, and would be reissued in remixed form the following year. The arrangements on the group’s second album, Ágætis byrjun, displayed a subtle shift. Jónsi’s unorthdox approach to playing guitar – like a violinist or cellist, he often uses a bow – added a distinctive quality to Sigur Rós’ already unusual dream-pop music. With the commercial and critical success of Ágætis byrjun, the band’s decision not to make concessions in a quest for album sales seemed vindicated. Jónsi’s resolute determination not to sing in English set them apart from nearly all of their contemporaries. Significantly, Ágætis byrjun reached #52 on the album charts in the English-speaking United Kingdom. In 2002 Sigur Rós released an officially-untitled album known as ( ). Again reaching #1 on the Icelandic chart, the disc charted in at least ten other countries. This time the list included the United States, where ( ) climbed to #51, a solid showing for an Icelandic group: the Sugarcubes’ 1988 debut Life’s Too Good only reached #54. The fourth (and also untitled) track from the album was featured in the motion picture Vanilla Sky, bringing Sigur Rós’ music to an even wider international audience. Around this time, Sigur Rós made what seemed like a logical move: they recorded a soundtrack album. The group’s evocative soundscapes had long been cinematic in scope, and were well-suited for the Icelandic documentary Hlemmur, a film about a group of impoverished men who congregate at Reykjavík’s main bus terminal. Originally available only as part of the finished movie, the Hlemmur soundtrack would finally receive CD release in 2007. Sigur Rós personnel has remained relatively constant since the group recorded and released its first album. In addition to guitarist Jónsi, who also plays keyboards harmonica, Georg “Goggi” Hólm (bass guitar, vocals and assorted instruments) has been a member since 1995, and Orri Páll Dýrason (drums, vocals, various instruments) has been in the group since 1999. At various times in the group’s existence, Sigur Rós has expanded, sometimes adding a brass or string ensemble to more faithfully reproduce the lush studio sound on concert stages. Since 2012 the group has toured with The Okkur Ensemble, a six-piece instrumental section that includes violin, viola, trumpet, trombone and French horn. The group’s 2005 album Takk… (“thanks…”) charted in 12 countries, as have the three studio albums that would follow. Their 2011 live album Inni (“within”) was a sales and critical success as well. Sigur Rós’ current touring schedule takes them first to North America for 20 dates; from there they head to southeast Asia for four dates. After a winter break, they will return to America to headline a three-day Reykjavik Festival in Los Angeles, where they will be joined by the L.A. Philharmonic Orchestra.